1. Currently holds the record for most racially offensive prior names. Originally established as the State Normal College for Colored Students; apparently, that was deemed to not effectively differentiate it from the rest of the state-run universities. So, the name was changed to Florida Agricultural and Mechanical College for Negroes. Somehow, white guilt infiltrated the state legislature, and the school is now known as just Florida Agricultural and Mechanical University. 2. The best year. 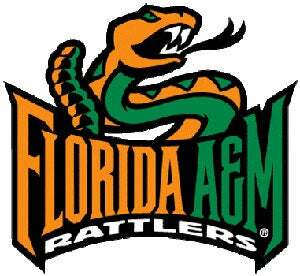 Greatest basketball legend is the 1952 team known as the "FAMU Famed Final Four." No, it's not a reference to THAT final four. The team won the Southern Intercollegiate Athletic Conference tourney despite playing the final five minutes and two overtimes with only four players after the rest of the team fouled out. The losing team, Alabama State, contemplated dropping basketball after the loss.